The Animals and Birds are getting ready for the big game. Bat wants to WIN. The Animals look strong and fast, so Bat picks that side. But when the Animals fall behind, Bat switches to the Bird team--doesn't a bat have wings? Maybe the Birds will win! Excellent story on sportsmanship, loyalty and committing to a team. When his family moves into a new house a cat named Big Ernie is confused and feels sad. With gentle assurances and understanding from his family and by engaging in familiar routines, Big Ernie learns to deal with being worried, mad, and a little sad about being uprooted and moved. This oversized interactive book is a heartfelt look at the wonder and excitement of waiting . . . and waiting . . . and waiting for a new sibling to arrive. The charming protagonist is so eager to step into her role as a big sister that she�s starting early! She sticks close to her mama so she can sing songs to her sibling-to-be (loudly, of course) and explain all the great things waiting in the outside world (cupcakes! strawberries! swimming!). 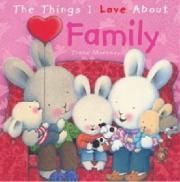 This friendly little book acknowledges kids fears and makes them aware of things they need in order to feel safe. They learn, for instance, to look both ways when crossing a road, to know their parents names, phone number, and emergency numbers, and many other details. 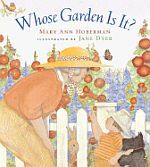 Includes a parents' guide with a glossary, reading list, and resource list. 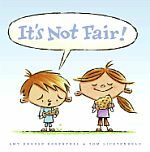 The author pairs charming drawings with simple yet undeniably true statements that every kid and grown-up can relate to, and reassure readers that "everyone" sometimes thinks it's not fair. Nobody's perfect. That's what everybody says. Like my sister. She's loud! Really loud! And that's only the beginning. Your best friend is a bit of a show-off. And Mum can be pretty stubborn. Not perfect! But sometimes they come pretty close - and you do too. With a touch of the tongue-in-cheek. "I�d never been late for anything. I just knew this would be a bad day." When Penelope oversleeps, her daily routine gets thrown for a loop. From wearing mismatched socks to receiving her first-ever "B," will "Penelope Perfect" survive this imperfect day? This encouraging story told in cheerful rhyme will speak to kids who deal with perfectionism or other forms of anxiety. 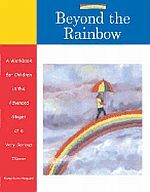 The book concludes with tips and information to help parents, teachers, counsellors, and other adults foster dialogue with children about overcoming perfectionism and coping when things don�t go according to plan. Perhaps you'd like to know a secret, one of the happiest ones of all. You will surely find it for yourself one day. You'll discover it all on your own, maybe when you least expect it. If you've not yet discovered the secret of saying thanks, it's waiting for you. The secret can be found in the sunrise that offers promises full for the day ahead, or in the gentle shade of a tree sheltering you from the hot rays of the sun, or on the rock that offers rest from a long walk. RJ�s having another bad day � His teacher wants him to work with bossy Bernice, messy Frankie, and Norma (who just sits and picks her nose) on a report about Egyptian mummies. After a frustrating school day with his �team,� RJ goes home to find only one cookie left in the jar. And his mom makes him share it with his sister! With the help of his coach, RJ learns that working as a team and sharing are skills needed not just on the soccer field, but in school and at home too! George comes home one day to find an elephant watching TV and eating chocolate chip cookies in his living room. When he tells his friends, they say it's impossible: George must be seeing things. But the next day, and the day after that, his large and uninvited guest remains and makes itself even more at home - with disastrous results. (Elephants should NEVER sit on couches.) Is George dreaming or just plain crazy? Before long, his friends see the elephant as well. Or do they? SURELY they too aren't going crazy like poor George? So no one says a single word about the gigantic creature lounging in the flowerbed...until something happens that finally breaks this very awkward silence. My Story about Listening and Following Instructions...or Not! RJ has had a rough day he wakes up with gum stuck in his hair, misses recess because hes late to school, earns a zero on his math homework, kicks the ball into his own teams soccer goal, and messes up Moms kitchen with his overflowing pancake batter! With his mothers help, RJ learns that his problems happen because he doesnt listen or pay attention to directions from her, his school principal, teachers, or even his friends. Copyright © 2019, Peoplemaking. Page dynamically created on April 20th, 2019, in 0.009 secs.